This is a Disc Brake Chevrolet Rallye hub cap with a 7 inch back inside diameter. 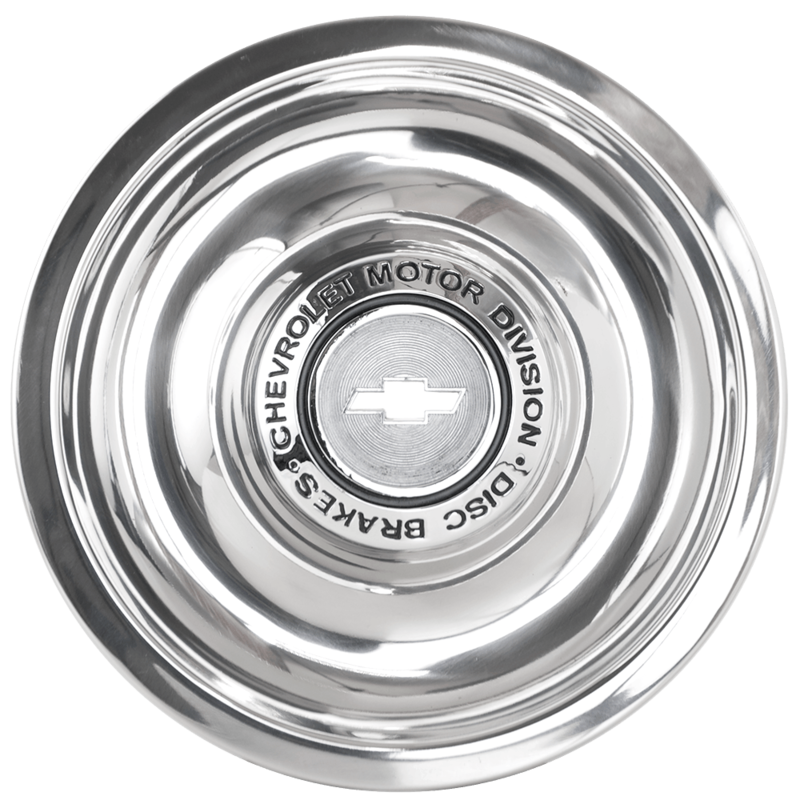 This authentic Chevrolet center cap features the “Chevrolet Motor Division Disc Brakes” script. 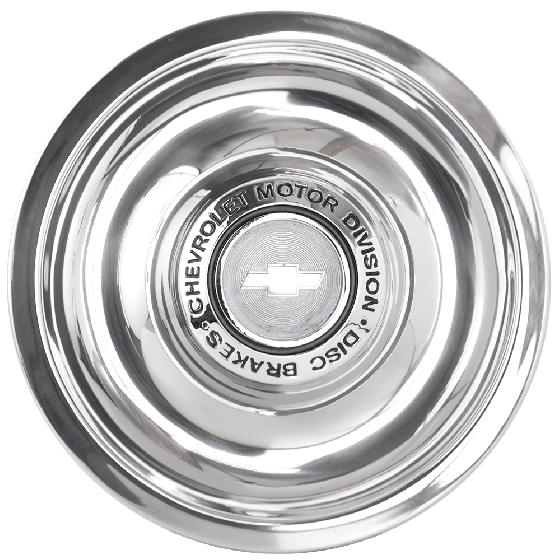 The Chevrolet Disc Brake cap with a 7 inch back inside diameter fits our Corvette/Camaro Rallye wheels, all sizes, Smoothie wheels 16" and 17" only. Please check your actual wheels required cap fitment size. Coker Tire Company offers a nice variety of authentic Chevy hubcaps and trim rings. Does this cap also come with out the disc brakes script on cap? also will it fit on the chrome rally sky cr 146? Yes, here is this cap without disc brake script: Non-disc brake script cap. If your wheel has a 7" cap mounting diameter, or if your existing caps are 7" back diameter, this cap will be compatible with your wheel. Does this cap fit the 15x7 Pickup Rallye/Chrome wheel? Yes, 7" diameter Chevrolet Rallye caps are also compatible with the Pickup Rallye wheels.